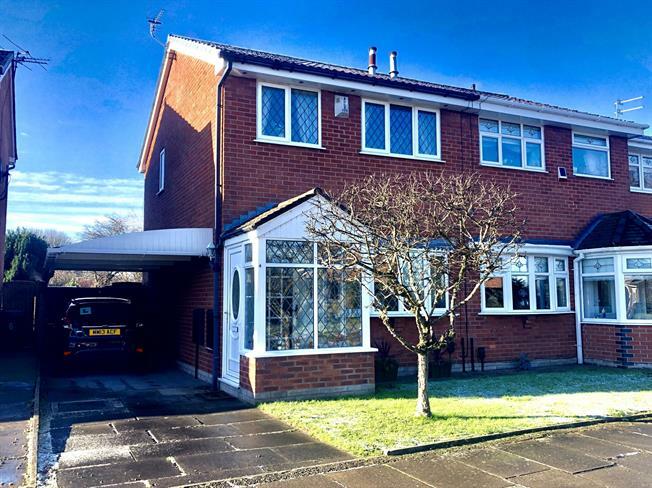 3 Bedroom Semi Detached House For Sale in Liverpool for Asking Price £175,000. Entwistle Green are offering for sale this three bedroom semi-detached family home with no ongoing chain. The property comprises of porch, open lounge, kitchen diner, first floor landing with three bedrooms and a family bathroom. The property also benefits from a driveway to front and attractive rear enclosed garden. Early viewings are highly recommended. Fitted wall and base units with complementary work surfaces. Double glazed uPVC window and French doors to garden. Radiator. Driveway to front with car port. Attractive, rear enclosed garden, mostly laid to lawn with sunny aspect and patio seating area.